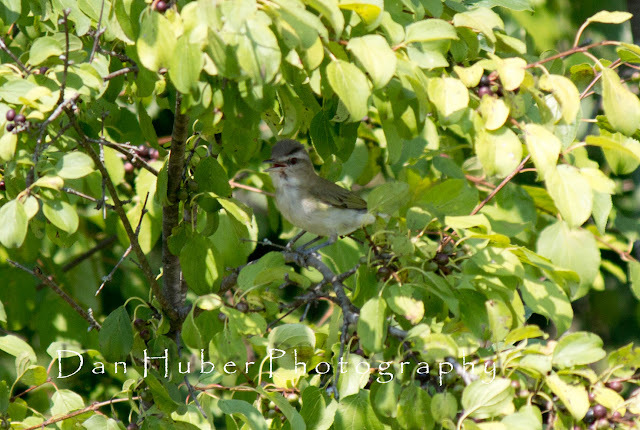 I hear Red-Eyed Vireos all the time. 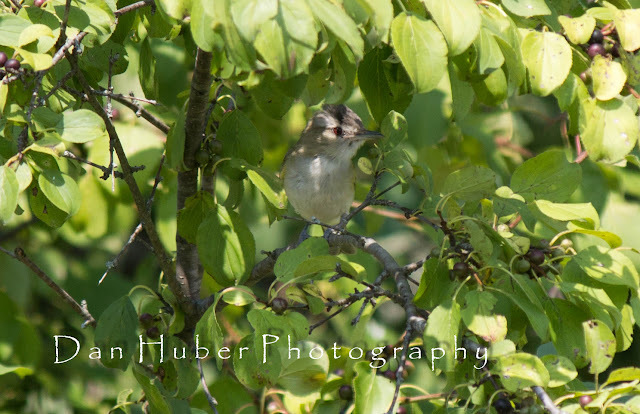 They are fairly loud for a small bird, and often in the tree tops, hidden in among the leaves. I have seen them a few times, and never had a chance to get a decent photograph. On a hike through my new local patch in Vermont - Dead Creek WMA - I heard several Vireos as usual. I think they are teases, their calls saying, "hey you, up here, look up"
Well I lucked out and came upon what I assume to be a juvenile as it's call was more a whine and it seemed to have zero apprehension as I slowly approached. I sat down in the grass and watched it for five minutes from 10 feet away. I got closer than the photos would indicate but I ran out of batteries and the spare never went into my pocket as per usual routine. This forced me to look only and I feel I got to know this bird a bit better than I otherwise would. Imagine how many shots I might have had with a working battery. 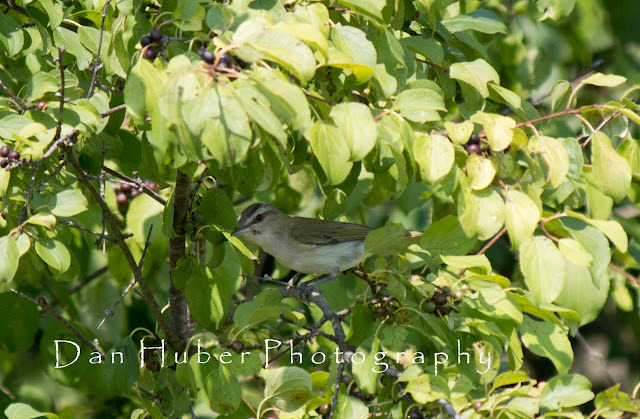 So that's why they call it a "Red-eyed" Vireo! I've seen a couple of them in one special spot in Idaho, but I've never got to really see that red eye. Nice shots Dan. Glad you've found what appears to be a very nice patch too. Rad bird Dan, way to bring im' in! Great photos Dan! Those are some red eyes; I've only seen the white-eyed ones! Great photos Dan, showing the red eye. By the way, the juvenile has a dark brown eye, (which turns red by late winter), and indistinct wing bars. So this is an adult. Nice find. Not sure why it was giving an unusual call. Thanks very much for the kind comments and great info Lillian & Don, maybe I was stressing it too close to a nest? Incredible series of this red eyed beauty! Such a beautiful, beautiful bird! Great pictures. This year I got pictures of a white-eyed. 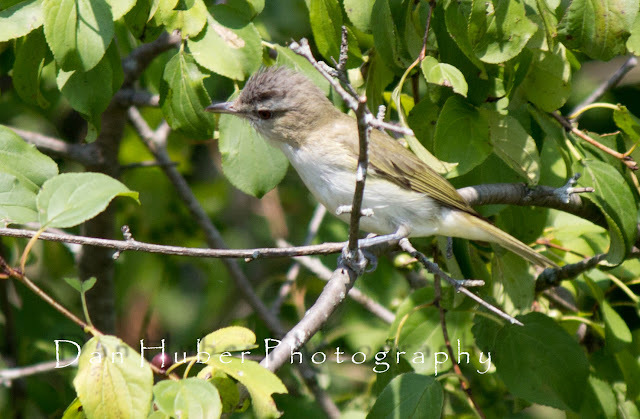 Awesome shots of the Vireo, Dan! Cool shots, Dan! 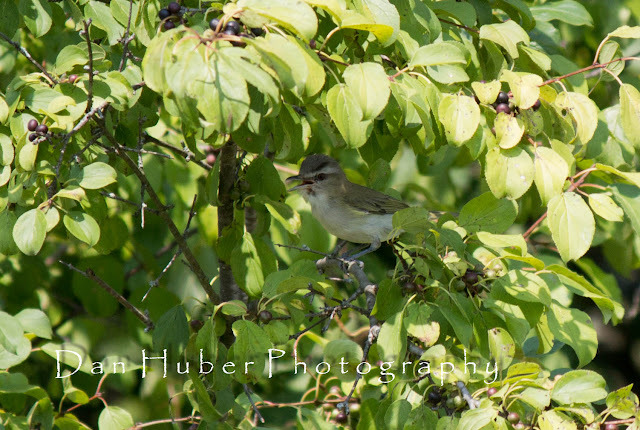 Red-eyed Vireos are really hard to see in the light and shadows of the leaves and harder still to photograph. Did you move to VT? Dead Creek is a great area to go birding especially during shore bird migration. I was vireo happy to be reading this post, Dan. Great photos. 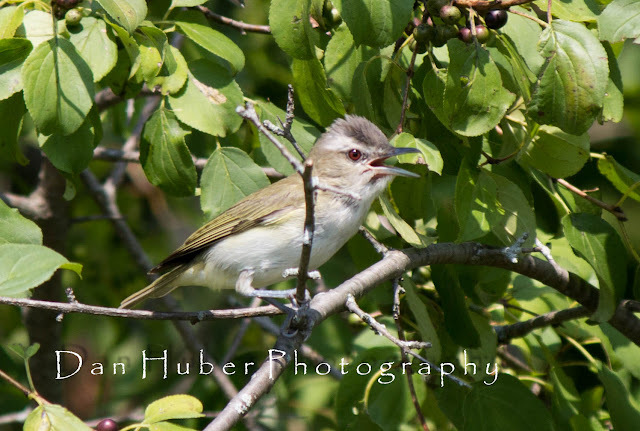 Awesome captures of the Red-eyed Vireo, Dan! They really are beautiful birds. 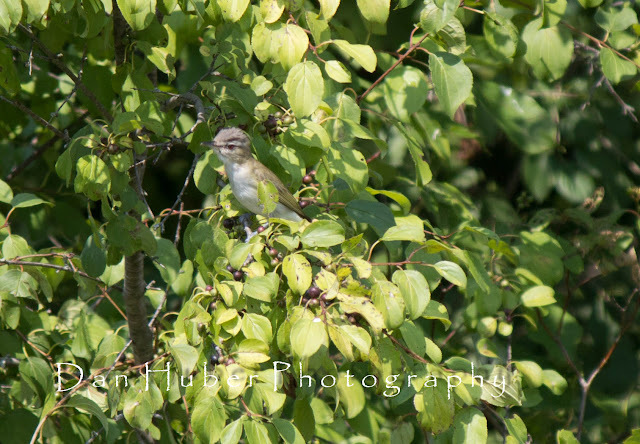 I wish my photos of Red-eyed Vireos were as great as yours. Thank you all for the very kind comments. Hilke, yes I made the move the VT, and loving it. 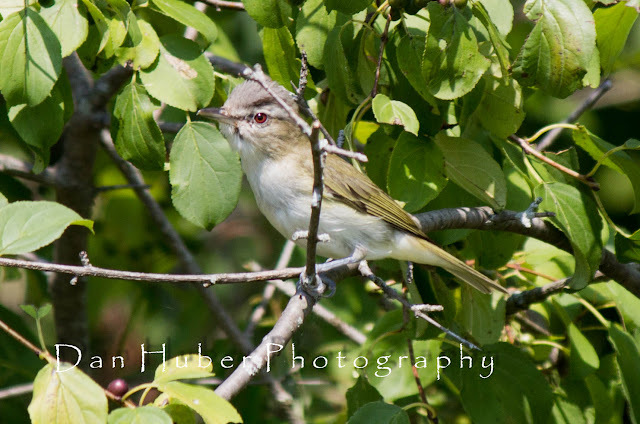 Beautiful shots of the Red-eyed Vireo Dan. I would just like to see one, much less take great photos like these!